The New England Revolution still doesn't have concrete plans for a soccer stadium, but Revs president Brian Bilello said this week the club has taken the "first big step" in what will eventually be the construction of a state-of-the-art training complex. The permitting process from the town of Foxborough began with the approval of zoning changes needed for the complex, which will include four training fields and a training facility for the Revs' first team and academy teams. Though it is opening Audi Field this summer, D.C. United has a long-standing reputation for being parsimonious, but even it is moving through the approval processes on a training facility and stadium for a USL team in Loudoun County. The Revs and D.C. United would follow a half dozen MLS teams that have opened facilities at a cost of more than $300 million in the last 14 months. Atlanta United: March 2017. 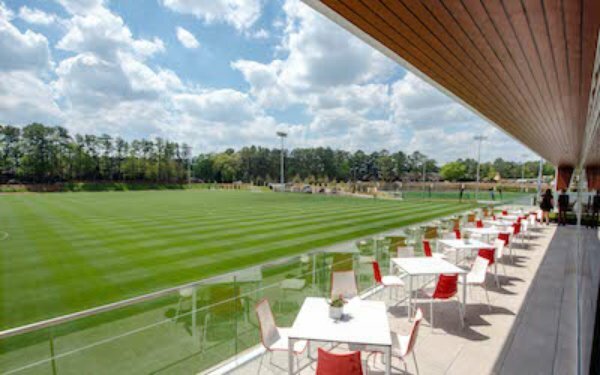 Before even moving into Mercedes-Benz Stadium, Atlanta United opened the 33-acre site Children’s Healthcare of Atlanta Training Ground in Marietta. Features: A 30,000 square-foot complex and six full-size fields (three grass and three FieldTurf surfaces). The main field features stands that hold 2,500 seats and a separate pavilion for viewing. Vancouver: June 2017. The Whitecaps moved into its 38,000 square-foot National Soccer Development Centre built in partnership with the University of British Columbia and the British Columbia government at UBC. Features: A three-level facility, two-story gym, plus five fields (three grass and two artificial turf). Sporting KC: February 2018. Sporting KC opened the 50-acre Pinnacle National Development Center, which serves as its full-time training center and is also home to U.S. Soccer's coaching and refereeing training programs. Children’s Mercy Sports Medicine Center is also a tenant at the facility paid for primarily with Kansas sales tax revenue bonds. Features: The main building includes locker rooms, offices and training rooms while two synthetic fields available for year-round training for U.S. Soccer coaches and referees are separated by a pavilion for monitoring of the two fields. Real Salt Lake: March 2018. Real Salt Lake opened the privately funded Zions Bank Real Academy, a 42-acre training center for its MLS, USL and NWSL teams and academy program, in Herriman. Features: The complex includes the 5,000-seat Zions Bank Stadium, home to the USL Real Monarchs, plus five outdoor fields, two indoor fields, a public high school and dormitory for academy players. That's all in addition to locker rooms, weight rooms, lounges and cafeteria. LAFC: April 2018. 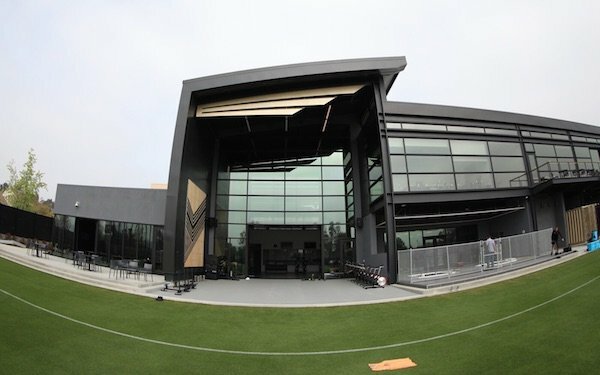 MLS's newest team opened a 30,000 square-foot facility, the LAFC Performance Center, on the campus of Cal State LA. The facility was privately funded as part of a partnership with Cal State LA. Features: The center includes locker rooms, sports medicine facilities, office space for LAFC coaches and staff and grass surfacing that mirrors that of Banc of California Stadium, LAFC's new stadium. NYCFC: April 2018. 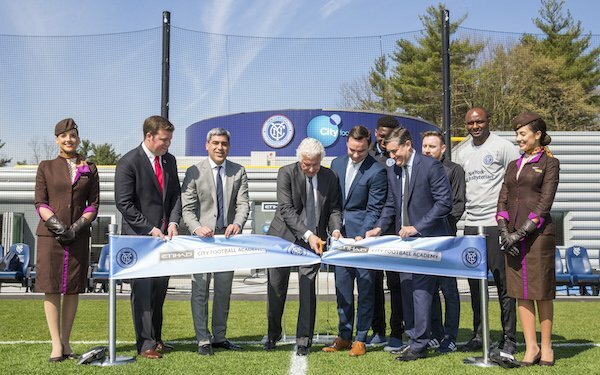 Like the Revs, NYCFC doesn't have a stadium of its own, but it opened a new 17-acre training facility, Etihad City Football Academy, on the site of the former Rockland Psychiatric Center in suburban Orangeburg, New York. Features: The 24,000 square-feet complex includes a grass field usable year-round thanks to underground heating, gym, circular locker room, communal kitchen and onsite chef. Etihad Airways is the club’s naming partner. 3 comments about "MLS Focus: Teams go on spending spree, opening new training complexes". frank schoon, May 18, 2018 at 10:37 a.m.
Now that looks very nice, but lipstick on pig is still a pig...In other words you can have nicest accommodations but what we need is a great program of player development. beautiful game replied, May 19, 2018 at 4:31 p.m.
Agree with Frank S.; great facilities are a waste of money if the coach and program is not in tune with the objective. In addition, the win/loss stats in youth development should be the last point of focus. Ric Fonseca, May 27, 2018 at 7:10 p.m.
Hey fellas, so per your comments, it's a matter of danged if you do and dangedif you don't, eh wott?